Re: Re: I want to have a car show, where do I start? Welcome › Forum › Car Shows › I want to have a car show, where do I start? 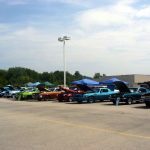 › Re: Re: I want to have a car show, where do I start? This was very well written. Thanks for the info! I think anyone should be able to have their own car show after reading this! Anyway, I hope no one else makes the same mistake! BTW, awesome site. And Go Pack!